How To Draft A Strong Resume For A Fresher! When it comes to making a mark, the first thing to build is a career in today's world. While it might not just sound as easy as written, it actually needs a little bit of planning to make the career ride slightly smoother than you expect. However, for a fresher, the going gets tough as soon as you meet experienced folks sharing about how powerful their resume is and how their experience and references aided them to go to places. That is why a resume for freshers that holds up against the crowd has come to attain so much importance. Before any of you get into deep-seated thoughts, the importance of making a good resume needs to be understood without feeling tense about it. Yes, even freshers and those with no experience at any job can make a big bank impact with the right resume. It only takes a little bit of clarity pinpointed precision and the right advice to build a good resume for freshers. To begin with, you have to understand that a resume is not a detail about what you have and what you do not. A generally prevalent thought is that a resume does exactly this. 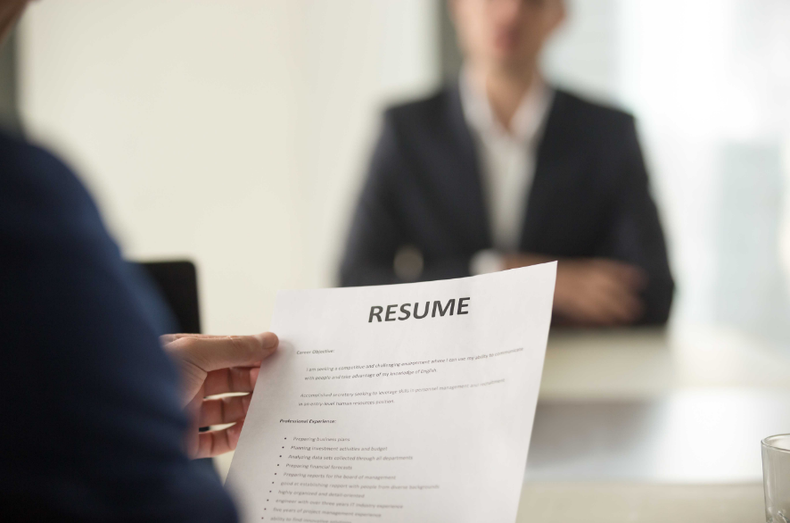 However, a resume is supposed to introduce you and give you a platform to elaborate about who you really are -- during an interview or a casual chat session with prospective employers. When building a resume for freshers you have to think logically and identify the areas worth highlighting. Experiences that define your skills need to go on the page while those that simply define your hobbies need to be tactfully showcased. When you approach any prospective employee, your resume counts as your identity at the outset. Make sure you keep it brief, concise yet informative. Instead of mentioning stuff like you were the captain of your school rowing team, you might mention you have leadership ability. This gives the interviewer a scope to converse with you. This is when you can elaborate on what leadership role you have had. When drafting a resume (for freshers), cut out all the fancy words. Keep it direct, without the flowery language. And yes, make sure your CV language is easy to understand, interesting and crisp. Long lines often kill the interest of prospective recruiters. The use of good vocabulary is needed but only as long as recruiters won’t need to Google it. Needless to say, when printing a hard copy of the resume, ensure the right formatting. Over the years, there have been so many candidates who lost out on getting called because they formatted their text all wrong. Make sure you ensure the right spacing, margins, orientation and of course, the font. Small enough to look tidy, large enough to not make someone NOT strain eyes--that is the thumb rule! The formatting of a resume for freshers has to be neat. No extra margins, colorful formats and big letters. Keep the font to a plain pick such as Calibri and a size between 12-13. The margins need to be even and the sectional headings and keywords need to be emboldened. Too much heavy formatting kills the professional look of a resume. Do not overdo--is the only advice here. In case you need referrals, ask. Ask your network, your past teachers and seniors. Even if they do not vouch for your job performance, (because you are a fresher, after all); doesn't mean that they cannot give you a good word for your skills. This is one point that most freshers consider negligible in terms of importance. However, when rightly stated, this escalates the impact of your fresh resume. Now, this doesn't mean that you go on stating all your strong qualities. Simply, mention key strengths such as, say, team building--to the extent that can be backed by your experience. Make sure you include your volunteer causes or experiences. In this new age, there is immensely paid to the causes you might have been part of. From charity fairs to events, if you’ve been part of anything--whatever the scale is--up till your post-graduate years, they must find mention. Do make sure you have ample details to back these--if recruiters quiz you on the same. One important tip for freshers making resumes is that your specializations must be strongly mentioned. As in the area must be emboldened for highlight purposes. Simply mentioning that you have an MBA degree will not suffice. The focus must be on the area of specialization. Do write a line about what your MBA specialization comprised. One vital yet underplayed section that can be crucial to a resume for freshers is their skills. Mostly candidates mention bland stuff such as computer programming etc. However, the section can simply be spunked up by writing interestingly about some turnaround you have brought in small projects over the years. Do mention your linguistic spans as well. This creates an impression of being a multi-tasker. However, make sure this isn’t too long lest it gets boring. While the internet has many boons, it also has a number of banes. One of these is the ease of access to huge collection of templates for everything on earth-- including-- templates and ideas for resume for freshers too! As a fresher, most of you might be burdened and overwhelmed with such examples. You might simply try to use these sample resume for freshers and simply edit to fit in your personal details. This is the worst idea ever and leaves you in a lurch when you fail to justify a sweet-sounding statement that you retained just because it read well. Remember, recruiters, are no dim-witted people sitting to be fooled. They have been on this side of recruitment and know much more than the drill. To sum up, there need to be some don’ts of making a resume for freshers. A number of old-school employees create resumes that list down personal details such as address and also place photos. In this age, this is irrelevant thanks to the popularity of social media. If a recruiter needs to take a look--there is social media lying just a click away. More often than not, freshers use email IDs that have silly names--being cool or hot @gmail.com, sounds unprofessional when mentioned on a resume for freshers. Make sure your email ID is updated to something professional and proper. Do not forget to attach a cover letter with your resume. Also, do not forget to customize the resume as per the job position you apply. A lot of freshers lose out even before the ride begins--since they forget to craft a headline on the resume for freshers as per job designation in context. Making a resume for freshers ain’t some rocket science but it sure comes to some dos and don’ts. Just knowing how to create the right balance, makes a world of difference. It can surely be said that a fresher is as good as his resume, at the outset of his career. If you feel like, we've missed out something. Feel free to point it out in the Comments below and we'll try to cover it in our article. can i get my CV corrected? ?